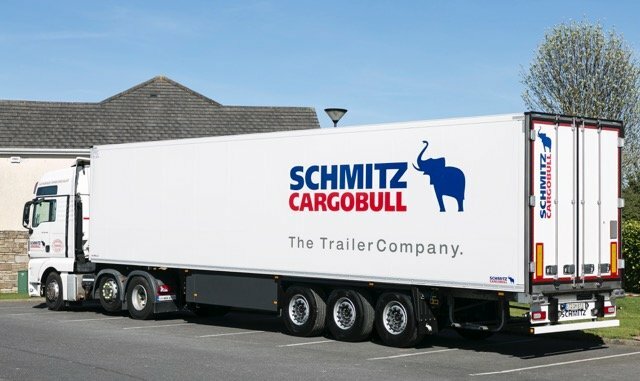 Europe’s #1 Trailer manufacturer Schmitz Cargobull is supporting the country’s rapidly expanding road transport market in establishing a new subsidiary, Schmitz Cargobull Ireland. 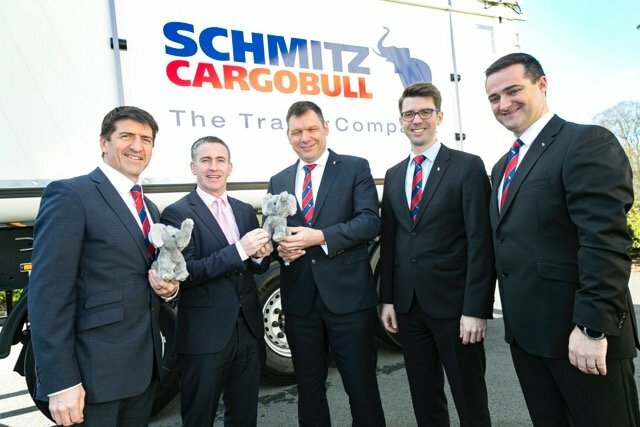 Schmitz Cargobull Ireland was launched at an official event in Trim, County Meath attended by Schmitz Cargobull Chief Sales Officer Boris Billich and Damien English TD., Minister of State at the Department of Housing, Planning and Local Government. The new company will give haulage operators easier access to the latest trailer technology – vital when, according to the Central Statistics Office, the total tonnage transported by Irish hauliers has increased by more than 10 per cent in the last year. Operators will also be able to handle all elements of their trailer acquisition in Ireland, including invoicing and payment. The Irish based office will be run by recently appointed Schmitz Cargobull Sales Manager Paul Ò Ceallaigh, providing a direct contact point for sourcing advanced smart trailers equipped with the company’s own refrigeration unit and telematics system, leading to lower lifetime operating costs.